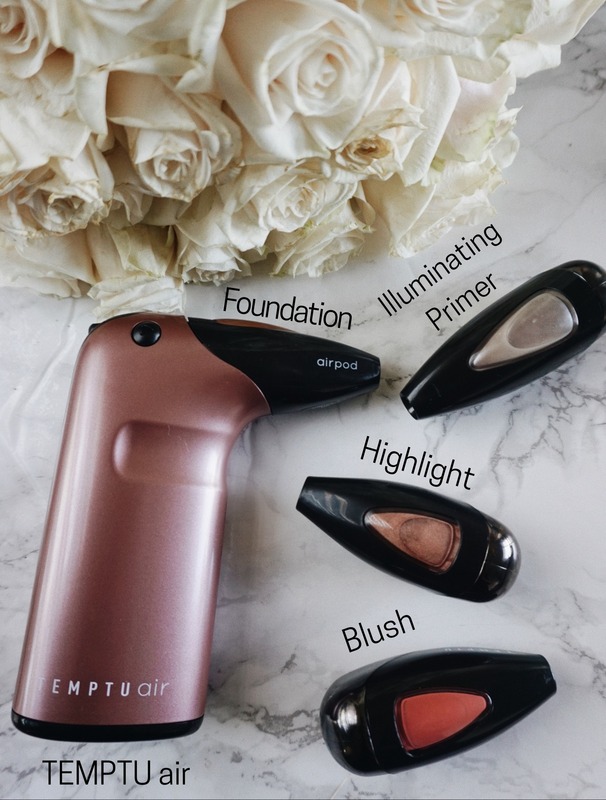 I recently discovered the TEMPTU Air airbrush makeup system and I am totally wowed! I tried airbrush makeup before during my pageant days with another system. Let me just say it was a messy fail. 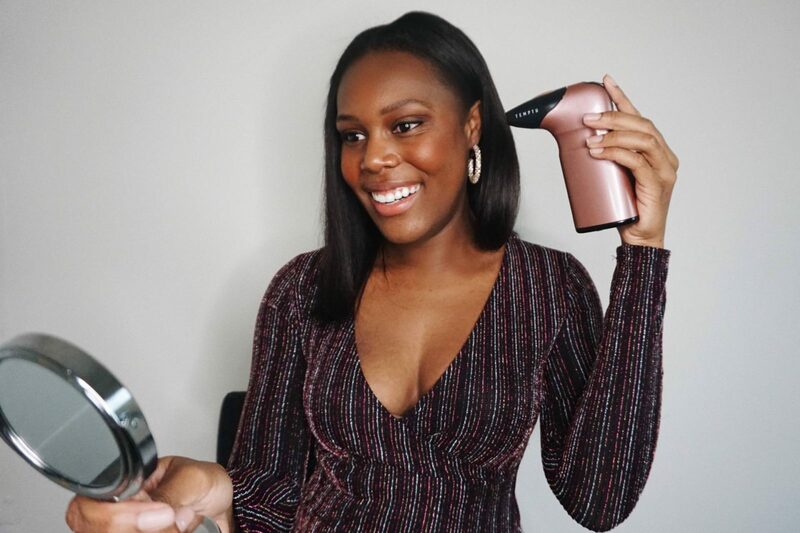 The TEMPTU Air system is the easiest airbrush system I’ve ever used! It gives me a natural healthy looking glow that I love. 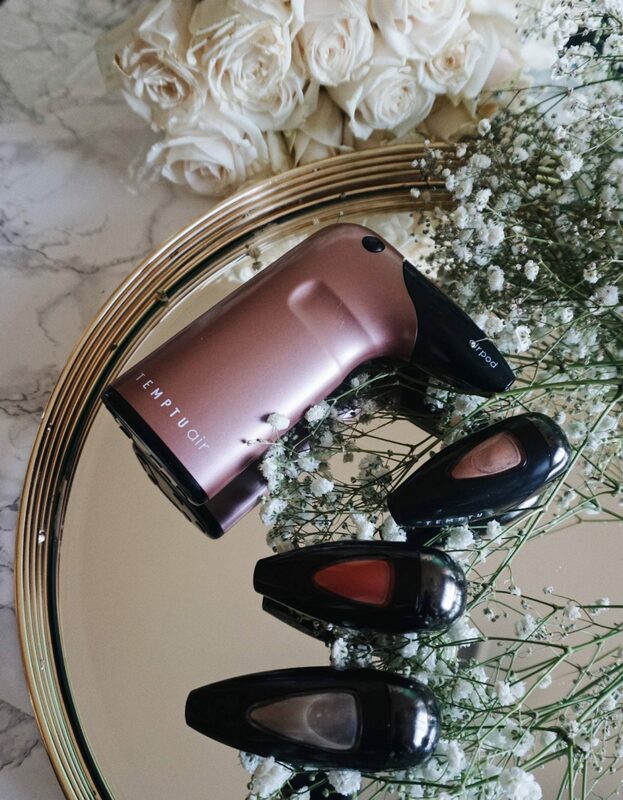 Below I’m sharing a little bit about the TEMPTU Air Rose Gold set and sharing the 4 steps I do for fabulously glowing skin. The TEMPTU gives a beautiful, natural looking makeup application that makes you look brighter and more luminous. The light-as-air technology allows you to build your coverage without looking cakey. The foundation has skin nourishing natural ingredients and long-lasting coverage. I love that it contains White Birch which helps to improve the tone, texture, and clarity of my skin while brightening the overall appearance. It’s also hypo-allergenic, fragrance/paraben/phthalate free and non-comedogenic which I love because I have very sensitive skin. You can get this Exclusive Rose gold set by clicking HERE. Use code JOSHAUNIC15 for 15% off. Hurry, it’s limited edition and such a great value! If you added up separate costs for a high-quality primer, foundation, blush, highlighter, and tools, it exceeds the cost of this set. It also makes a great holiday gift. I love that the TEMPTU Air uses and airpod system so there’s no spillage or product waste. The skin loving ingredients are really a benefit too! I always say this but the skin is your largest organ and it absorbs what you put on it. It is also very cost effective for me versus buying individual products and tools. My favorite part is the natural flawless finish it gives my skin. Below are the 4 steps I use to achieve that. I start with the Illuminating Primer & Skin Perfector and the TEMPTU on setting 1. This gives you that popular “lit from within” glow and a smooth starting base. Next, I do a light layer of Perfect Canvas Hydra Lock Airpod Foundation in shade 15 with the TEMPTU on setting 1. If I have any areas that need extra attention like my hyperpigmentation, I put the TEMPTU on setting 2 and apply another layer in those areas. 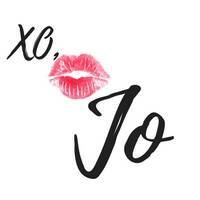 I remember the day I discovered how blush adds a beautiful wash of color to your complexion. I’ve been obsessed with it ever since! For step three I add Perfect Canvas Airpod Blush in Venetian Rose to my cheeks on setting 1. Highlighting is the finishing touch to any glowing look. My last step is to apply Perfect Canvas Airpod Highlighter in Rose Gold on my cheekbones, chin, and bridge of my nose. If it’s for an everyday look I apply it on setting 1 for a subtle glow. If I’m going for a full glam look, I use setting 3. That’s the beauty of the TEMPTU Air! It’s so customizable. If you’d like to try the TEMPTU Air for yourself you can buy it HERE with 15% off using code JOSHAUNIC15. You can also check out more about TEMPTU on their Facebook, Instagram, and Youtube. 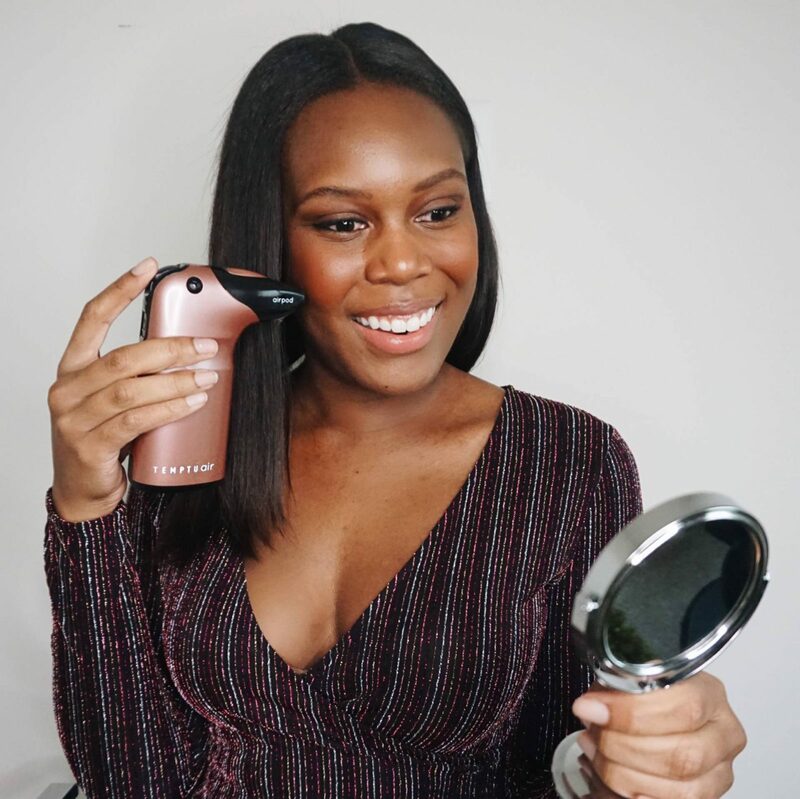 Be sure to check out my Instagram HERE to see more on how I use the TEMPTU Air. Did you get shade matched for your perfect foundation HERE? What is your favorite feature of the TEMPTU? Let’s chat! Leave a comment below. For more beauty posts, click HERE. Always have been curious to how this worked. I think it may be worth a shot. Thank you for sharing!